For public communities, a new option is available to approve new member sign ups. Approve all new members: Requires moderator approval for all new members. 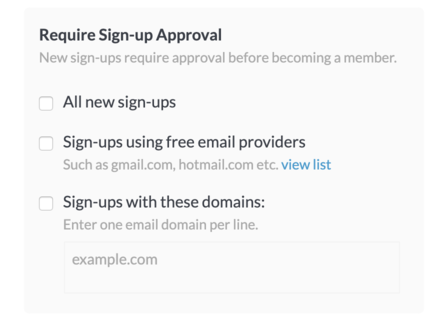 Approve members with these email domains: Users who sign up with specific email domains require moderator approval. 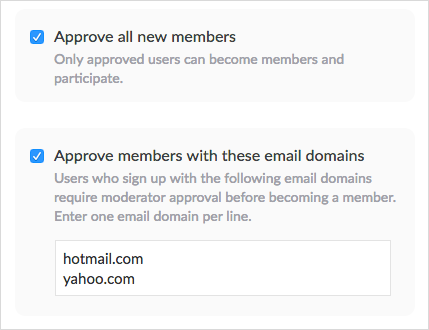 Moderators are notified when users request to join and can approve or reject (block) users. Additional information about users is now available in Admin > Users. Click the expander icon to show details. 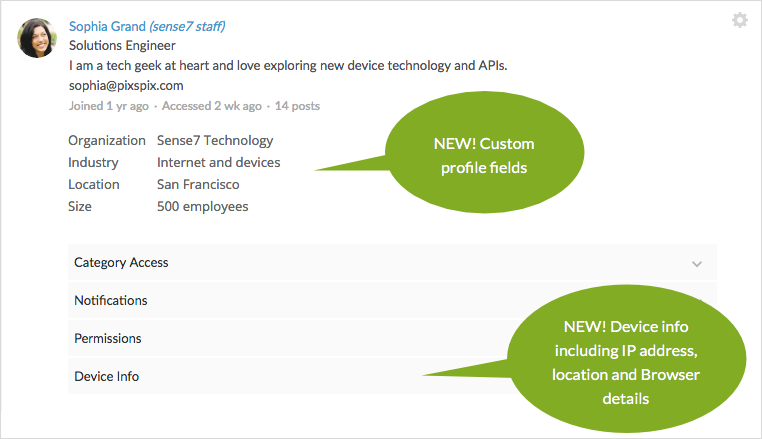 Full profile data is shown including any custom profile fields you have defined. Recent access history is available under Device Info, including IP address, location, and browser details. 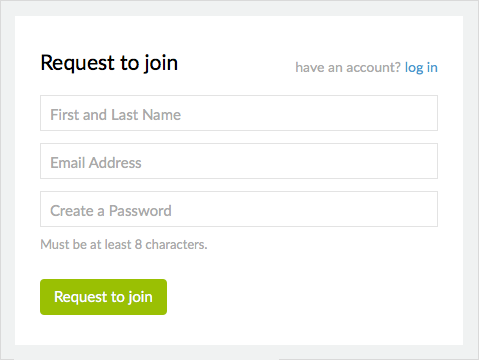 This information is useful to review when determining whether to approve a user who has requested to join. Hi Julia , custom profile fields are available on the Enterprise plan, in activated accounts (not in the trial). Forumbee Support Not really. I was referring to the option of "Approving members with these email domains." Is that option still available? G Edwards Yes, that option is still available. Depending on whether your community is set to private or public, you will see different options in this area. 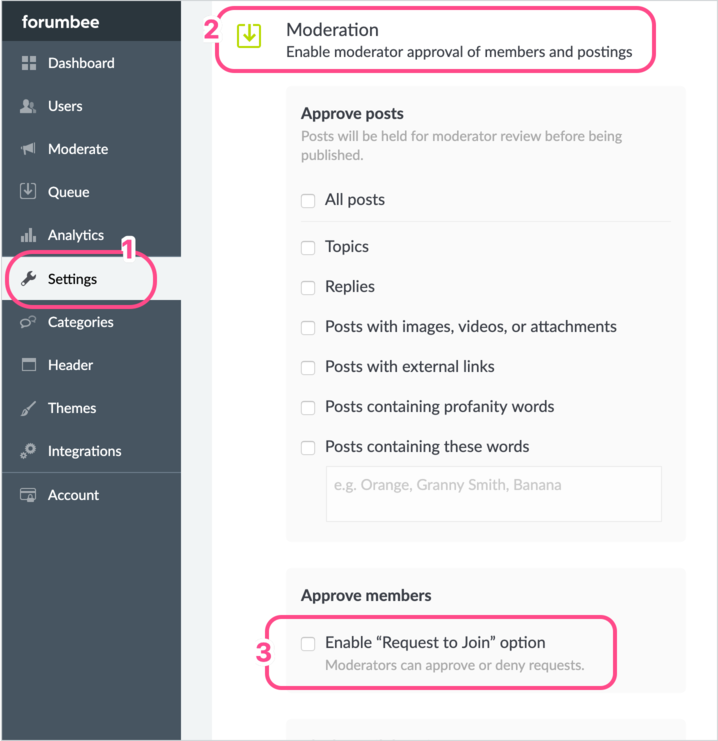 If you have a private community, it provides the option shown in the screenshot above. If you have a specific setup you are trying to achieve let me know and I can help to provide the recommended settings. Thank you!